Samsung Electronics announced earlier today that it has offloaded its stake in Sharp Corp. The official reason given by the South Korean conglomerate is a restructuring of its portfolio. Back in 2013, Samsung bought a 3% stake in Japan's Sharp at a price of ¥10.3 billion ($101 million). Although Samsung did not officially reveal the selling price, industry insiders quoted by the Wall Street Journal claim that the sale was done at a slight loss for Samsung Electronics. Building up on what looks like a veil of secrecy, Samsung officials have also refused to disclose who bought its stake in Sharp. According to the same industry analyst, the main driver behind this offload was the fact that Samsung Electronics no longer needed its stake in Sharp. 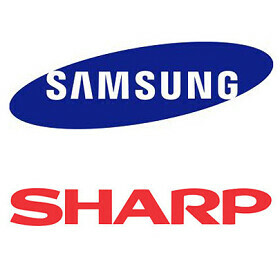 Allegedly, the main role of Samsung's investment in Sharp was access to Sharp patents pertaining to copier technology. Since Samsung has recently decided to sell its printer business to HP, this intellectual property was no longer needed. The same insider has revealed that the sale also stemmed from the Foxconn's acquisition of Sharp (Foxconn completed its Sharp takeover last month). Unfortunately, however, this implication isn't detailed any further and the reasoning is a bit harder to follow. Foxconn may be the company that assembles all of Apple's iPhones, but the company also assembles devices for Samsung and a number of other tech companies. They should sell their battery department to ISIS. And you should sell your brain to Dr Frankenstein. To be fair, isis is actually still around, so there's a higher probability of his happening instead of yours. Wow, clear evidence that iFans support ISIS and want to sell weapons to them. And you know he's an IPhone user because? So in your own little brain if it isn't Apple it's Android, right? Are you also a trump supporter? You Clinton supports are just as bad as Trump supports. Just as "deplorable" as Trump support, except he never uses my damn tax money. Sharp's decline in market value makes just about anyone's shares worth selling.